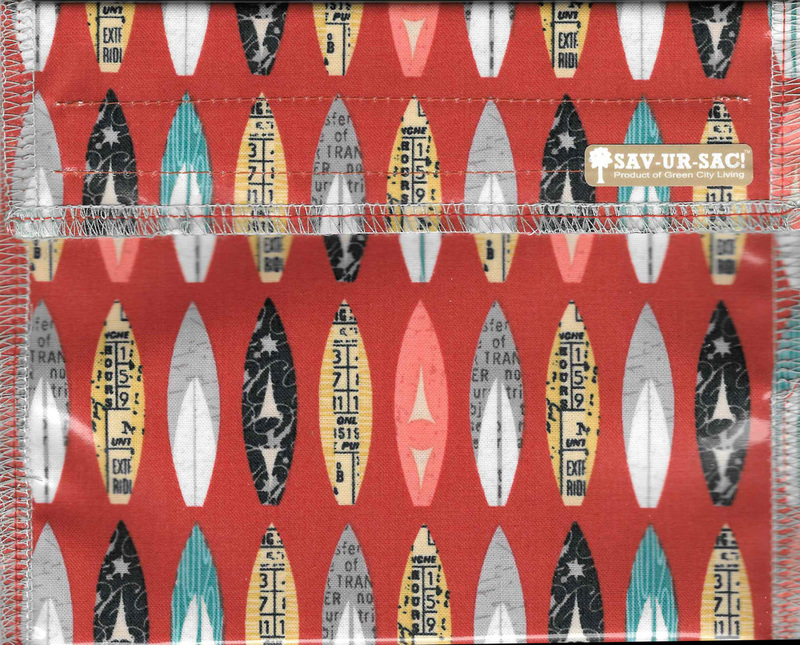 Our newest fabrics are made up and ready for purchase. The first one pictured reminds me of the notes I would occasionally tuck into my children's lunches to surprise them at lunchtime. 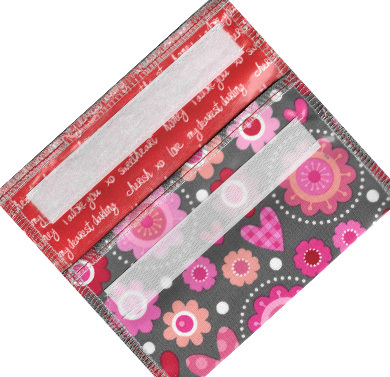 The lining fabric has messages inside to remind your loved ones that they are never far from your thoughts. 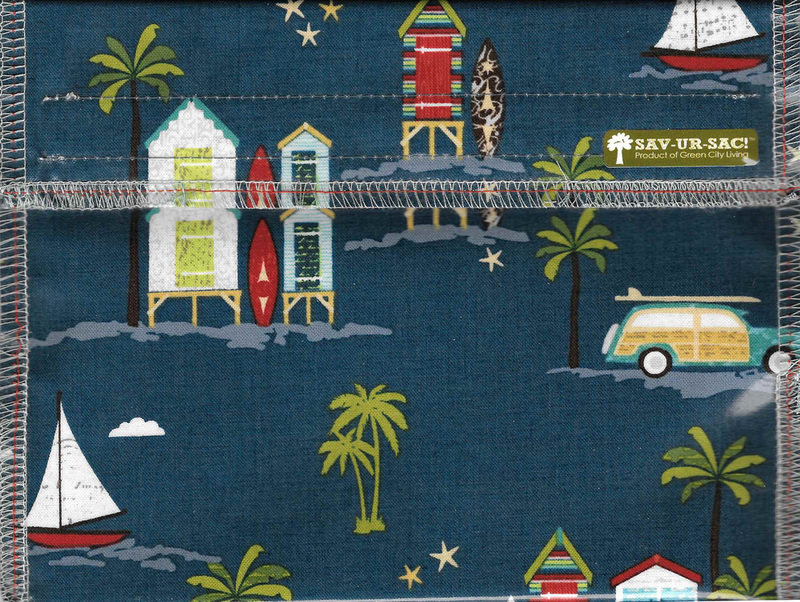 We are also offering a collection of coordinated beachy bags: Lil' Cabanas is the snack bag, Wave Catcher is the regular (6" x 7") size, and Beach Time in the XL size (6 1/2" x 8"). In addition, there are two other XL prints. The Peonies & Parakeets has pretty bird cages that did not get captured on the sample pictured (there is one on the backside). The second is Woodland with cute hedgehogs, squirrels and owls.